Features:• Length: 220cm• Width: 28cm .. 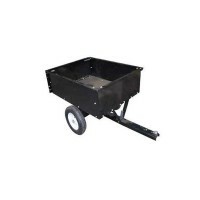 Features:• Pneumatic tires • Pin style hitch • Removable tailgate • Dumps.. FEATURES:• Strong, Lightweight Aluminium Construction• Maximum Load 200kg• Non Sli..
FEATURES• 1 ½" Wide Nylon Webbing• Double Security Stitching• 454kg Working Lo..
FEATURES• Adjustable Height• Fitted with a dampner that lowers your bike slowly• &nb..
FEATURES• Strong, Lightweight Durable Steel Construction• Maximum Load 150kg• .. FEATURES:• Built In Soft Hook Extension• 2045kg Webbing• 3/8" Vinyl Coated Hoo.. FEATURES:• 1818kg Nylon Webbing• 3/8" Vinyl Coated Hook • Top Quality at an E..